Genetic Genealogy Ireland: The ISOGG Day Out is back again! The ISOGG Day Out is back again! Here is the draft agenda for the GGI2016 ISOGG Day Out which will take place on Monday 24th October, the day after the conference. There may be some future changes to the agenda (due to unforeseen circumstances) but such changes are not currently anticipated. Places are limited to only 20 people and the GGI2016 speakers and volunteers on the FTDNA stand get first pick. Any places left available after that will be available on a first-come first served basis to ISOGG members only (so join ISOGG today). If you would like to be considered for a place among the Lucky 20, please leave your details in the comments section below. First-come first served, so be quick! I will notify you if you have been successful in getting a place in the week prior to Back to Our Past. 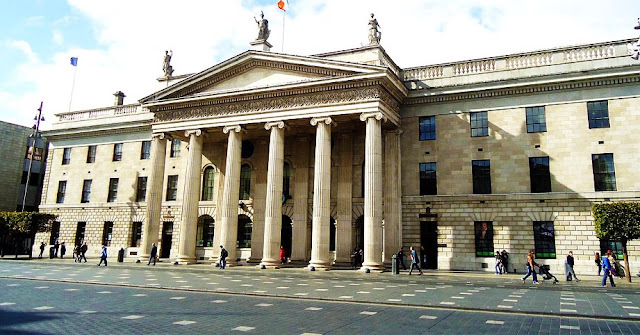 A location like no other building in Dublin, the CHQ building overlooks the River Liffey and George’s Dock. Formerly known as Stack A, the CHQ building is a grade one listed building situated within the heart of the city’s bustling International Financial Services Centre (IFSC) in the Docklands. In 2014, it was bought for 10 million euro by Neville Isdell, ex-CEO of Coca Cola. Why are we visiting it? Because it is home to EPIC Ireland, Ireland's new Diaspora Museum, which first opened it's doors in May this year, as well as the newly established Irish Family History Centre which sells DNA tests directly to the public via FamilyTreeDNA. Brian has been responsible for directly overseeing the digitisation and indexation of millions of Irish historic records from numerous libraries and archives around Ireland and abroad. Currently he is CEO of Eneclann and an Advisory Group Member of EPIC Ireland. The Irish Family History Centre offers expert advice, access to records, and research services. The centre has interactive displays and computer access to Irish genealogy websites that would normally be subscription-based. 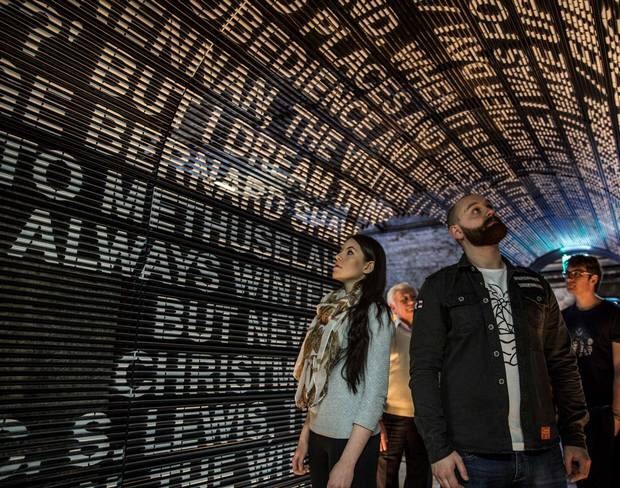 EPIC Ireland is the new state of the art diaspora museum and experience that showcases the unique journey of the Irish nation, where stories of old are told through the technology of now. EPIC Ireland spreads itself across 21 galleries of vibrant Irish life, as it illuminates the story of Ireland’s communities overseas - past, present and future. It is a very moving experience that plants you right in the shoes of those who emigrated. 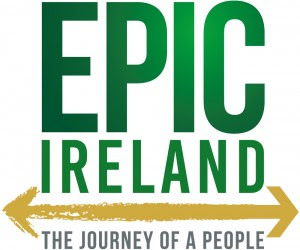 The visit is sponsored by EPIC Ireland and admission will be free for everyone on the tour. 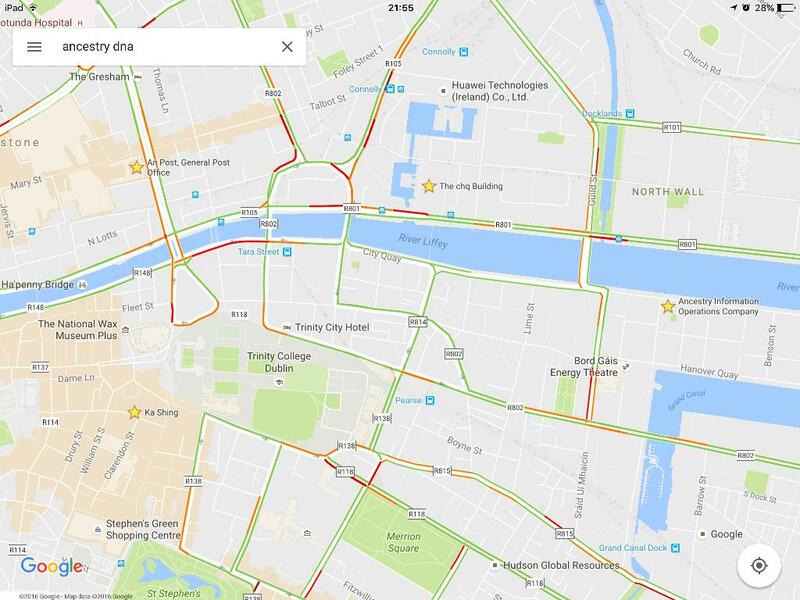 12:30 - 14:30 The centre of Ancestry's international operations is on Sir John Rogerson's Quay in the recently revitalised docklands area just south of the river Liffey, where a vibrant cafe society has sprung up taking full advantage of the amenities of the nearby Grand Canal Dock. Crossing Samuel Beckett bridge, it is a mere 10-minute walk from the CHQ Building. We will be meeting with Mike Mulligan, international Product Manager for AncestryDNA, for an informal chat about the future direction of Irish genetic genealogy. Ancestry has kindly offered to sponsor lunch. GPO Witness History is a brand new permanent visitor attraction in the iconic GPO (General Post Office) building on O’Connell Street, Dublin. This highly immersive and engaging exhibition puts you right inside the GPO during Easter Week in 1916 when a group of rebels occupied the building, proclaimed Ireland to be independent of Great Britain, and started a series of events that culminated in the birth of a nation. Ka Shing is Ireland's oldest Chinese Restaurant and is renowned for the high quality of its food, service, and surroundings. Dinner is kindly sponsored by Living DNA and we will be joined by Dr Martin Blythe, Head of BioInformatics. Maurice, I'll be in Dublin after the GGI and I hope my sister and I can make the top 20. Cheers. Hi Cliona, unfortunately all the spaces have been taken up but if you want to join us for the morning and "pay your own way" for the EPIC Ireland exhibit, you are more than welcome to join us. Please sign me up Maurice. Please sign me up if there is still space! HI Maurice, I too will be in Dublin after the GGI and would be happy if I could make the top 20 too! Thank you for all your work! Addie and I are looking forward to it. I visited Living DNA at their base in Frome and used the opportunity to visit Stonehenge, Amsbury, Boscombe, Durringington Wells which is on the route. I met with David Nicholson Managing Director and Mary Dy Operations Manager. We discussed how they could improve their resolution for Irish samples. I was one of the first contributors to the Irish DNA Atlas and I contributed my sample to their reference set. I would recommend that other IDA testers also contact Living DNA regarding their sample. I believe the Genetic Genealogy community and citizen scientists can play a role in creating reference datasets and cultural, surname and geographic analysis. I can not add further to Debbie's extensive review of the product except to note that the mouth swab kit uses a "quick drying" technique which avoids shipping liquids in the post. They will attend BTOP and GGI2016 in the RDS in Dublin October 21st - 23rd so please stop by and say hello. They also kindly agreed to sponsor our dinner for the Speakers and ISOGG volunteers day out on Monday 24th. I will post some pictures of my trip in the comments section.